North Kansas City school district officials say the gender-neutral design enhances privacy and security. A Kansas City-area school district is taking the gender-neutral route with restrooms in two newly constructed elementary schools. Restrooms in the two new schools in North Kansas City, Mo., which opened Wednesday, have floor-to-ceiling stalls with locking doors to assure student privacy, while there is a shared trough sink in the restrooms’ common area outside the stalls, The Kansas City Star reports. The district first used the gender-neural design in 2016 in its Northland Innovation Center, which serves gifted students, and received a positive response, officials said. With the new school year, it has also incorporated the design in some renovated restrooms at North Kansas City High School and its Eastgate and Gateway sixth-grade centers. 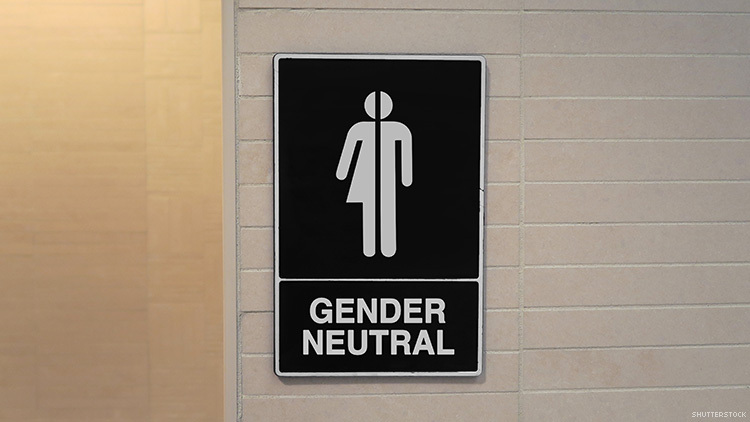 “We had such positive feedback from students, teachers, and parents,” Rochel Daniels, the district’s executive director of organizational development, told the Star regarding the first gender-neutral restroom. “Since then we have decided to replicate the concept in any new construction.” The newly built schools are Rising Hill Elementary and Northview Elementary. The district doesn’t have a specific policy on restroom access for transgender students, although it has a nondiscrimination policy, and one of its high schools, Oak Park, in 2015 was among the first in the nation to elect a trans student homecoming queen. While the gender-neutral design will undoubtedly make it easier to accommodate trans students, district officials emphasized that it is good for everyone. “The restrooms became a point where we can provide for all students,” Daniels told the Star. “The design was a decision based on privacy, safety, and security for all students.” Students like the enhanced privacy the floor-to-ceiling stalls afford, while the gender-neutral access to the common area allows all teachers the opportunity to monitor students, she said.